If you’re considering upgrading your bike for the spring with some new tires, it’s important to understand some key tire attributes before you make your decision. 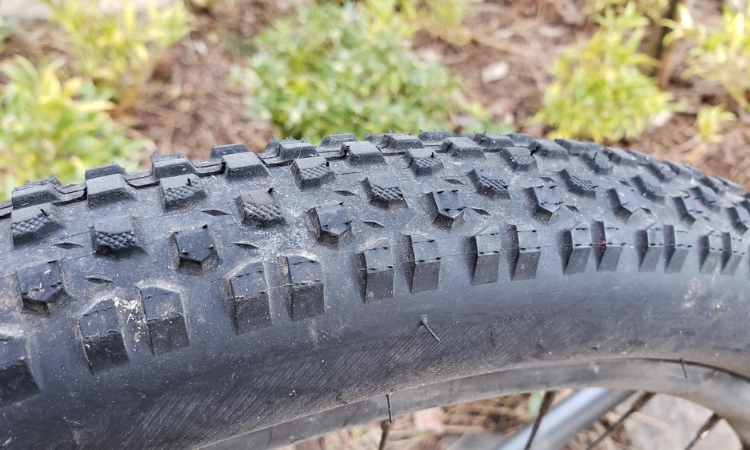 We wrote a blog recently on 5 affordable upgrades for your mountain bike, which covers tires as well. If you need more information, check out this article on Pinkbike.com where they reviewed six trailbike tires, and found The E*13, Continental, and Schwalbe all made fantastic tires, suited to a variety of terrains. 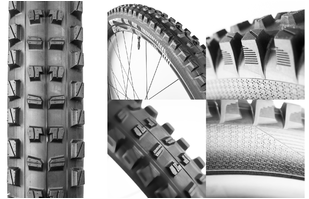 Some important factors to consider when choosing tires for your Trail or Enduro mountain bike. 1. Orientation: Front and rear tires need to do different things. You want your rear tire to track well in straight lines – lots of accelerating and braking grip. Your front tire, on the other hand, typically benefits from a larger volume, and beefed up side lugs to give it better performance in corners and when turning. 2. Rolling resistance: Consider the conditions you’re riding in. 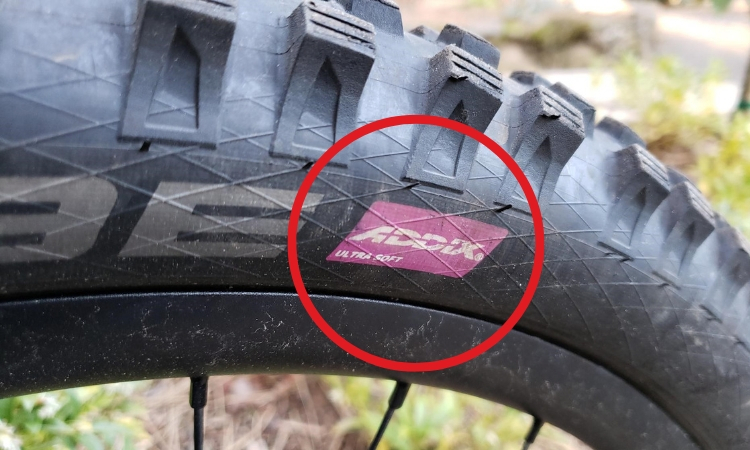 A tire with a lower-profile tread pattern will roll faster and more easily, but will pack up more quickly if you hit deep mud, and won’t have the same grip on wet roots. If you have a lot of slimy conditions in your future, err on the side of a chunkier tire. 3. Size: Try bigger tires. Across the industry, the trend seems to be returning to wider tire widths. If you’re running tires in the 2.1″ range, try a wider tire next time! Better grip and more confident cornering are the benefits. 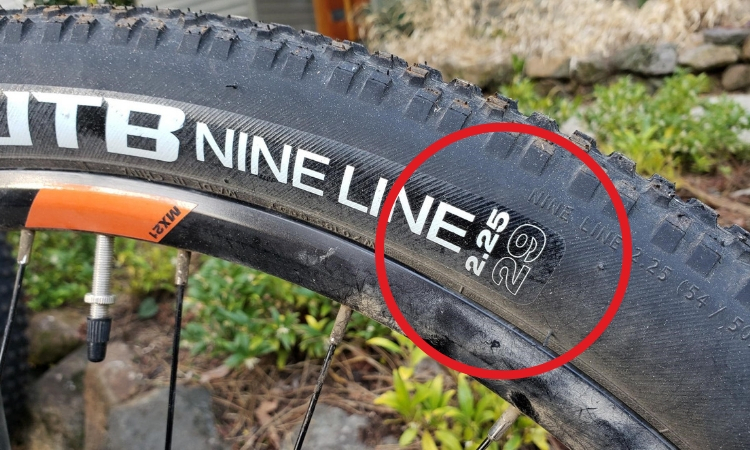 Consider rim width and frame clearance though- wide tires on narrow rims tend to squirm around a lot, and are more likely to burp if you run tubeless. 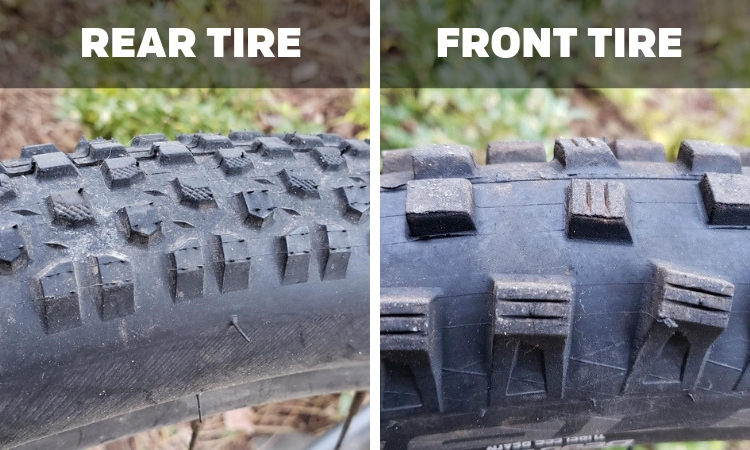 Tire clearance is an obvious one- the tire has to fit inside the frame, even when the rim isn’t true or the tire is covered in mud. 4. Durometer: Durometer refers to the stickiness of the rubber used in the tires construction. Tires come in many different rubber compounds these days, and higher end tires will use multiple durometers in the same tire, to maximize lifespan and grip. 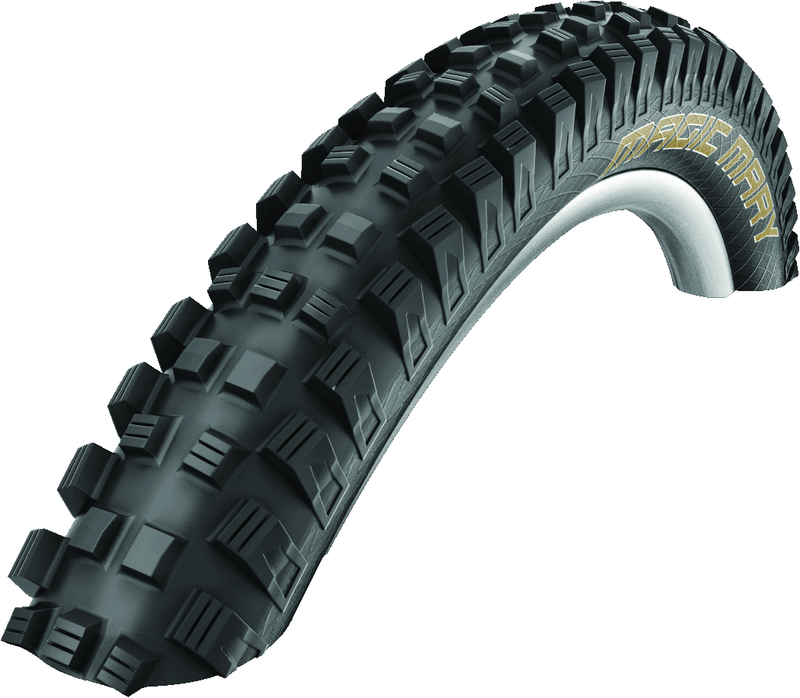 Put as simply as possible, the softer the rubber, the better the tire grips. The firmer the compound, the longer the tire lasts. 5. 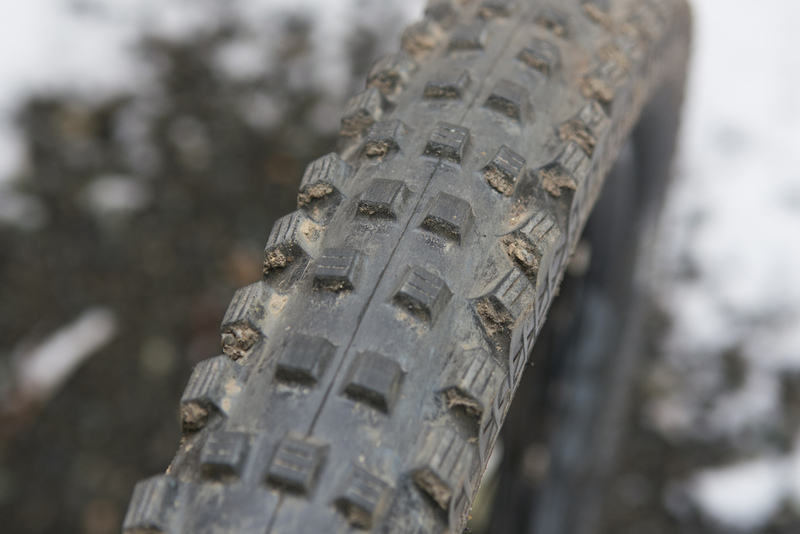 Tubeless compatibility: Most modern tires are tubeless, but it’s always good to check. 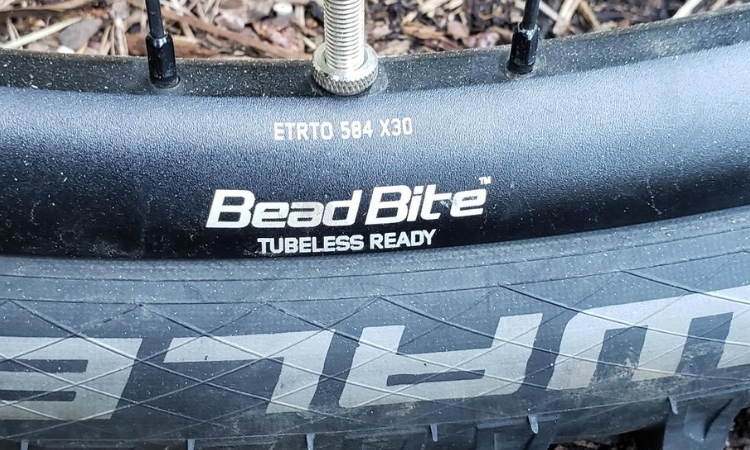 Making the switch to tubeless is easy, inexpensive ,and is a huge upgrade to the feel and reliability of your tires.